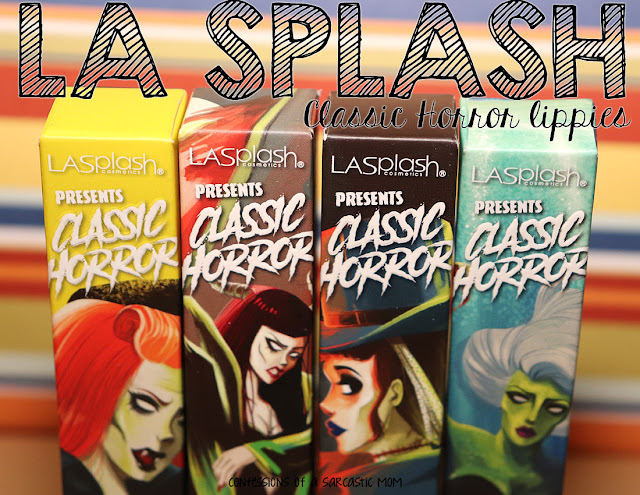 So what's on tap for today? 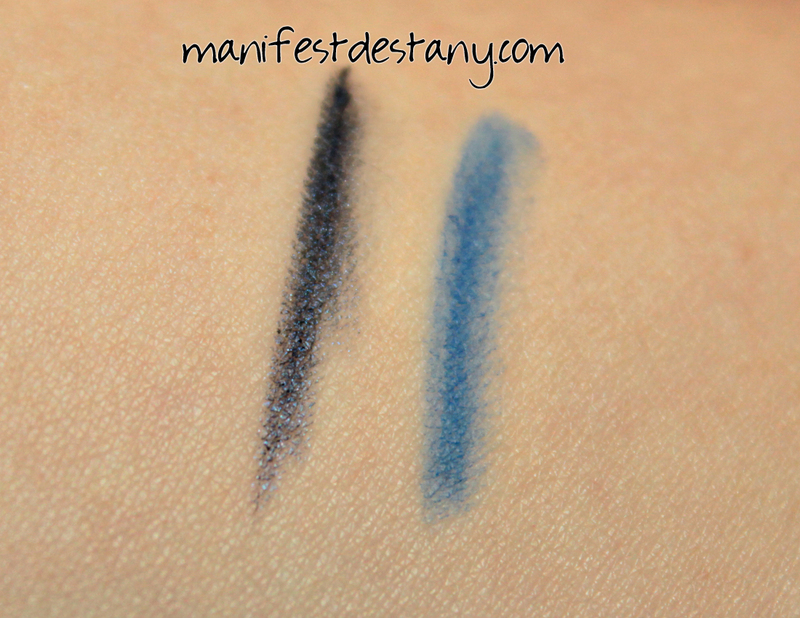 Two gorgeous blue eyeliners from LAColors! 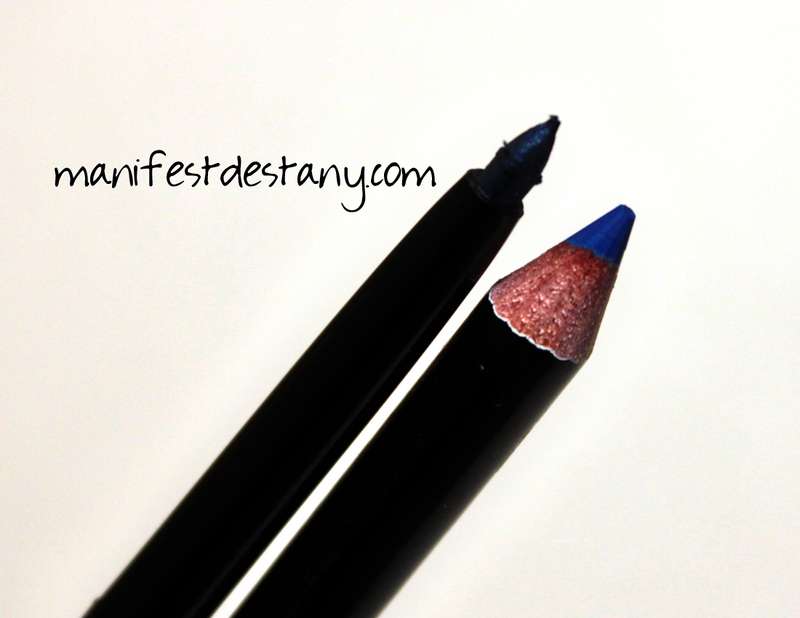 The two liners I purchased are an Auto Eyeliner in Navy and an Eyeliner Pencil in Electric Blue. The Auto Eyeliner is self-propelled and twist-up; the Eyeliner Pencil is just like the name suggests, a pencil in need of sharpening. On first inspection, I was a little wary of the electric blue shade, and I wondered if I would really ever use it - but I did. I've worn in several times! 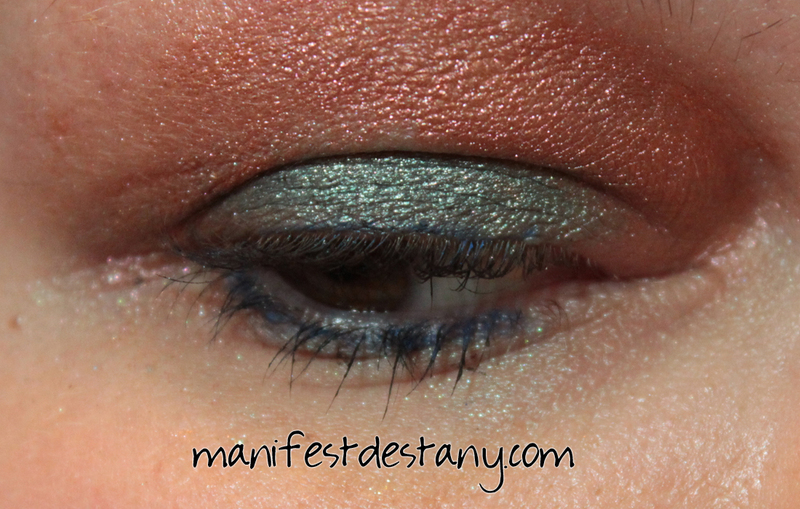 The thing I love about these liners is that they are so pigmented. 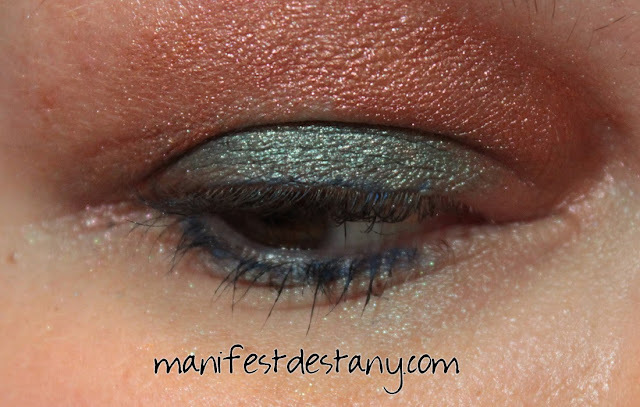 For the price, you absolutely can't beat the pigmentation and the wear. The color selection is awesome, as well! If I wasn't on a no-buy, I'd be at Dollar General buying every single liner ever. 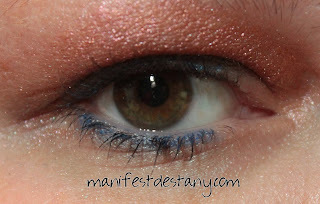 Below is an eyelook in which I used the Electric Blue Eyeliner Pencil. 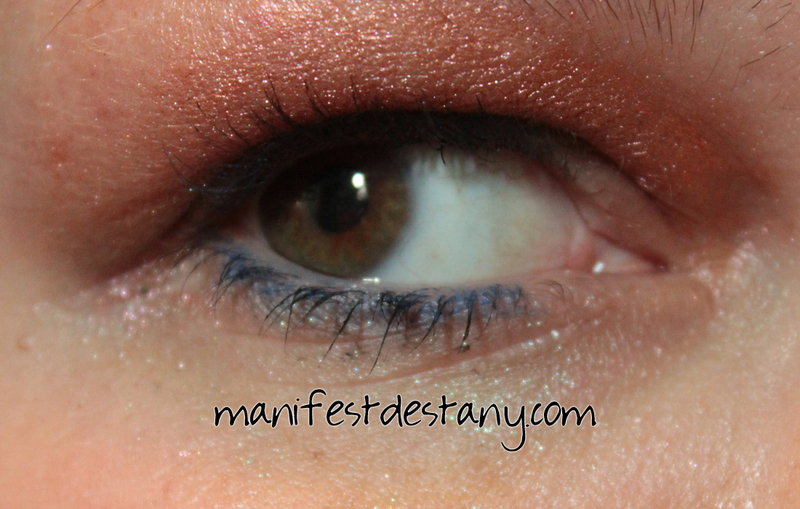 As for the shadows, I used Jesse's Girl Eye Dusts in Troublemaker (teal) and Indian Summer (orange). These photos were taken after 3 hours of wear.